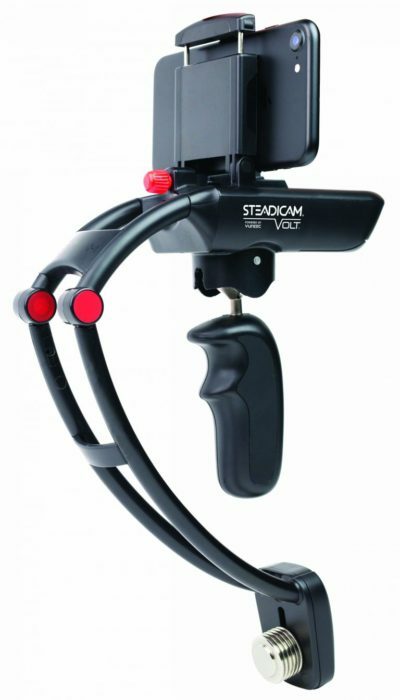 THE STEADICAM VOLT™ IS STEADICAM’S FIRST HANDHELD ELECTRONIC STABILIZER FOR SHOOTING SMARTPHONE VIDEO. 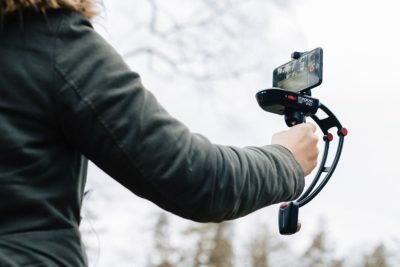 The Volt is equipped with a 3-axis gyroscopic stabilizer, weighing only a pound, you can get extended stable iPhone video footage in two modes; “Movie” and “Sport” modes. Once balanced the Steadicam Volt, powered by long lasting rechargeable Lithium Ion Batteries, will operate unlike any other gyro-stabilized gimbal. The Volt will transition to work manually even after the batteries run out! The Volt blew past it’s initial Kickstarter goal in the first three days and is still going strong! Check the official site here. The CES Innovation Awards is an annual competition honoring outstanding design and engineering in consumer technology products.